The first day of the fourth edition of the International Film Festival "After Hours" took place on 12th of December 2014 in Cinema Theatre Wrzos in Krakow. The event, called "Jacek Sroka - Painter in the Film" was accompanied by the exhibition of 19 small paintings by Jacek Sroka. Five movies had been presented: "Sexuality of Kwiatow Polskich Street" that was rewarded year earlier and four movies from the cycle "Jacek Sroka's Paintings Stories" ( Family Portrait with Measuring Outfit, Prison Pińczów, Black Rain, Che Tatoo ), presented for the first time, all shot by Jaroslaw Migon. 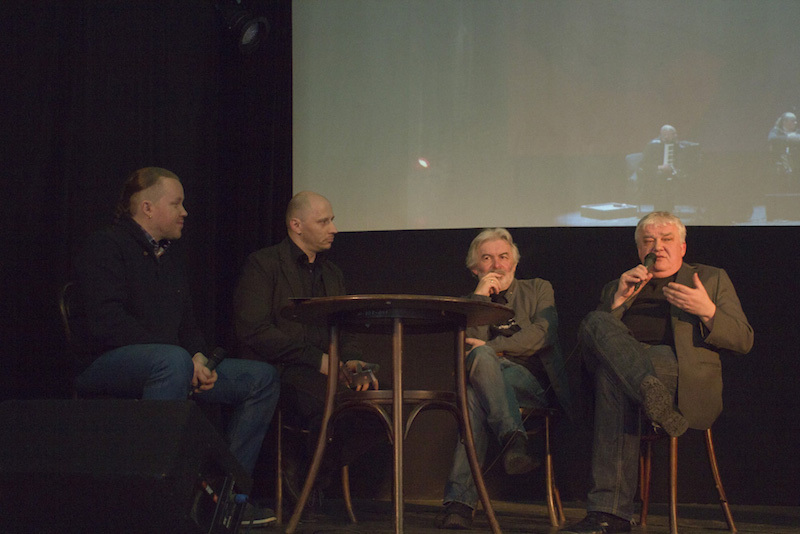 In the intervals of the show the movie critic Jerzy Armata talked to Jacek Sroka, Jarosław Migoń and the composer of the soundtrack to the movies Marcin Gałażyn.